In the monograph Monede şi bancnote româneşti (Buzdugan, Luchian and Oprescu, 1977) these coins are presumed to be made from nickel. They seem to be made from the same alloy as the 10 bani coins in the same series, which are declared to be cupronickel. It is obvious that these coins cannot be made from nickel, because this metal is ferromagnetic and the coins of this series are not attracted by the magnet. The coins certain to have been made of nickel as the 50 and 100 lei 1936-1938 or the Canadian cents (e.g. 5 cents struck between 1955 and 1981 or 10 and 25 cents struck after 1968) are strongly attracted by the magnet. 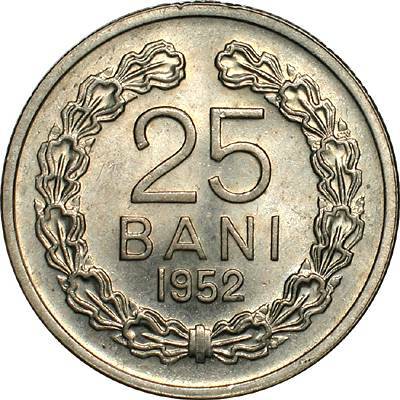 The Romanian cupronickel (75% copper and 25% nickel) coins, e.g. the 5, 10 and 20 bani 1905 and 1906 or the 1 and 2 lei 1924 are not attracted by the magnet. These coins were struck in the Soviet Union, at Moscow Mint. 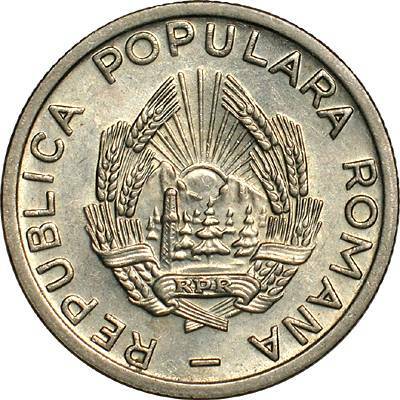 The pictures of the coin above are present on Romanian coins through the kind permission of an anonymous donor.